In the United States, one quarter of women, one in seven men, and over 3 million children are somehow affected by domestic violence. Since 2001, Hopeline® from Verizon, a phone recycling program, has partnered with organizations that help victims of domestic violence through giving over 180,000 refurbished Hopeline wireless phones to those victims and survivors receiving support and services. Verizon has also gifted over 21 million dollars in cash grants to these organizations. Wireless phones given to HopeLine are refurbished and sold for reuse, generating proceeds for the program. Refurbished phones complete with 3,000 minutes of wireless service and text messaging service are provided to local domestic violence agencies or local government and law enforcement agencies for use with their domestic violence clients. If donated phones are unsalvageable, they are recycled in an environmentally sound way under a zero landfill policy. The nonprofit organizations that participate in the HopeLine® program provide these phones to families staying in domestic violence shelters or receiving support from their domestic violence program for safe communication. Thanks to Hopeline from Verizon and its supporters, survivors remain connected to their families and communities, stay in touch with the support staff of the shelter or agency they are getting help from, and are able to give a contact number to potential employers. This program couldn’t exist without the generosity and support of people like you. Thank you! Delete any personal information from your phone and remove the SIM card, and gather up any cords or accessories that came with the phone, and donate the set of items. 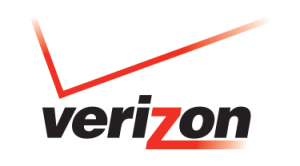 Drop off your phone/charger/accessories at any company-owned Verizon Wireless Communications Store or mail your phone to Verizon — you can print out a postage paid label directly from Verizon’s Hopeline® website. Learn more about Verizon’s Hopeline® Program.